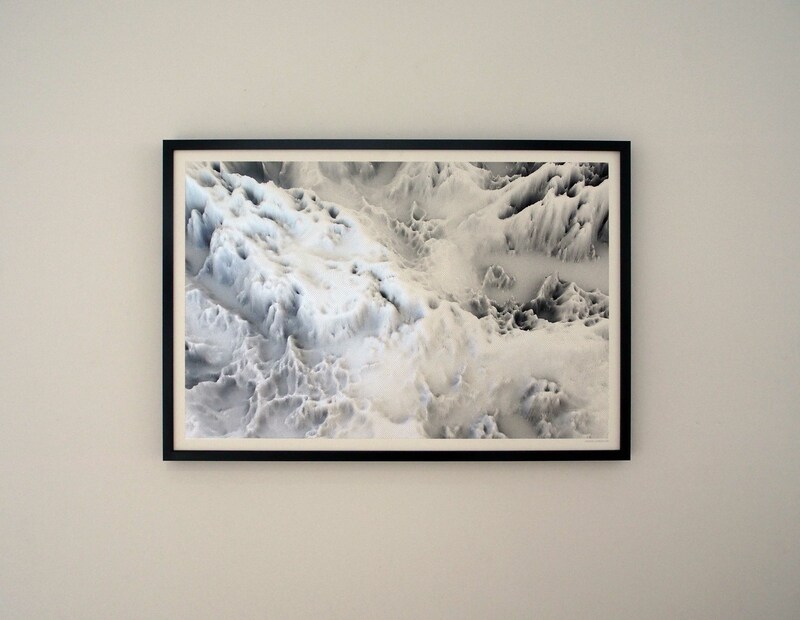 Landform 10 is a computer generated landscapes depicting a linear grid elevated from a non-deterministic noise function, to create rocks, valleys and peaks, formed by a single algorithm. Joanie Lemercier is a French artist primarily focused on projections of light in space and its influence on our perception. Lemercier was introduced to creating art on a computer at age five by attending classes on pattern design for fabrics taught by his mother. The threads of his early education grounded his interest in physical structures: geometry, patterns, and minimalist forms. As Lemercier’s work evolved, he began to play with these concrete structures through the physics and philosophy of how light can be used to manipulate perceived reality. Since 2006 Lemercier has worked with projected light, and he co founded visual label AntiVJ in 2008, with artists Yannick Jacquet, Romain Tardy and Olivier Ratsi. He worked on stage design for festivals such as Mutek (Montreal, Mexico) and worked alongside artists such as Flying Lotus (special show at the Roundhouse London), and with Portishead’s Adrian Utley (as part of the cultural Olympiads, London 2012), and architectural projections all around the world. 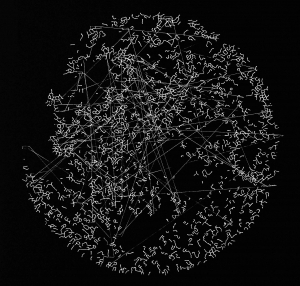 In 2010, Lemercier turned his focus on installations and gallery work, and exhibited at China Museum of Digital Art, (Beijing), Art Basel Miami and Sundance film festival 2013. In 2013, Lemercier founded a creative studio in NYC, focused on research and development of artworks and experiments that use projected light in space. He is represented by Muriel Guepin Gallery in New York City.